Rafael Nadal defeated Frances Tiafoe in straight sets to reach his sixth Australian Open semi-final. 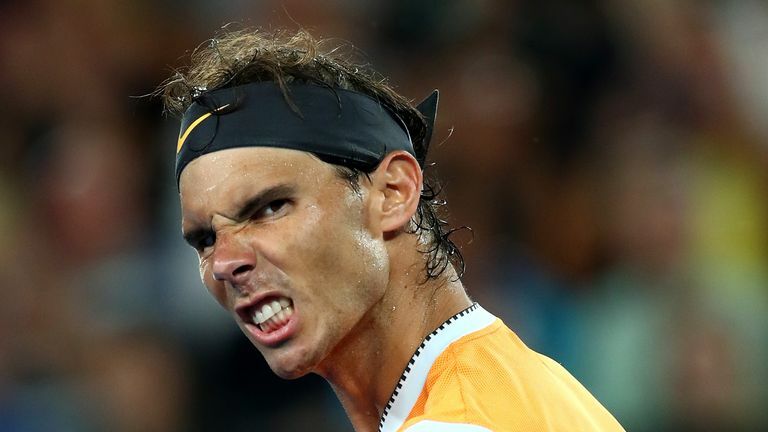 Nadal will take on Stefanos Tsitsipas for a place in Sunday's final after the world No 2 comfortably dispatched Tiafoe 6-3 6-4 6-2 in one hour and 47 minutes on Rod Laver Arena. "For me it's very emotional to be back in the semi-finals in Melbourne. I had some troubles here in all my career so to be back means everything to me. Of course I'm very happy with the way that I played tonight," said 2009 champion Nadal. Nadal's second Australian Open crown would make him the first man in the Open-era, and only the third of all-time along with Roy Emerson and Rod Laver, to win each Grand Slam on two or more occasions. The 32-year-old has now dismissed two of the next generation in Tiafoe and Alex de Minaur, and must prepare for another one in Tsitsipas. "I said a couple of rounds ago that they can wait a little bit, but it looks like they don't want to wait," said Nadal with a smile. "It's going to be a great year in terms of sharing generations. That makes this sport special." This has been a breakthrough Grand Slam for American Tiafoe, who turned 21 on Sunday, but he was simply unable to match the relentless power and consistency of Nadal. Tiafoe had struggled physically during his fourth-round victory over Grigor Dimitrov, resorting to drinking pickle juice to try to give him energy. His plan was to attack the Spaniard as early as possible in rallies but, as countless opponents have found, that is much easier said than done and he was firmly on the back foot from the moment he lost his opening service game. After dropping serve again at the start of the second set, Tiafoe had two chances to get back on level terms in the fourth game but could not take either and from there Nadal raced towards the finish line. The 17-time Grand Slam champion, who has yet to lose a set in the tournament, will not be underestimating 20-year-old Greek Tsitsipas when they meet on Thursday. "He's a player that during the last year has been improving every month," said Nadal. "He's able to win against the best players of the world already. He's a great player. He's unbelievable today but he will have the chance to be one of the best for such a long time."